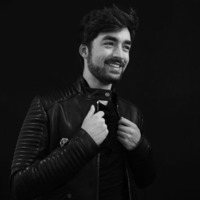 Oliver Heldens (born Olivier Heldens; February 1, 1995) is a Dutch music producer from Rotterdam in the Netherlands. His 2013 song, "Gecko", caught the attention of Tiësto, who signed him to his label; Musical Freedom- and released the track with vocals from British singer Becky Hill on June 23, 2014. Heldens also has a weekly podcast titled Heldeep Radio. Heldens began his professional music career when he signed to Spinnin' Records in 2013. His first releases on the label include "Stinger" and "Thumper" which features DJ Jacob van Hage. Later collaborations include "Panther" with 'Robby East' which was released on the Oxygen label on the December 2, 2013. The single "Gecko" was released in the same month on DJ Tiesto's Musical Freedom record label and peaked at number 1 on the DMC Magazine Buzz Chart and was named "Essential New Tune" by BBC's Pete Tong on January 31, 2014. Heldens also released a remix of Robin Thicke's "Feel Good" in 2014 and tours the summer festival and night club circuit with appearances at EDC, Amnesia Ibiza, Tomorrowland, Departures Ushuaia Ibiza, Creamfields, Electric Zoo Festival, Veld Music Festival and Stereosonic. July 2014 sees Heldens release his new single Koala, followed by a vocal version in October with singer KStewart titled Last All Night (Koala). Last All Night (Koala) entered the British Singles Chart on the week ending December 20, 2014 at number 5, making it Heldens' 2nd top-five single in the UK. Meanwhile, Oliver Heldens enters the DJ Mag Top 100, making his debut at number 34. He receives praise from British radio DJ Pete Tong, who calls him 'one of the producers of the year' and invites him to play an Essential Mix in his show. Music recognition app Shazam already saw 'Koala' grow out to one of the most popular searched dance records; the company predicted Heldens will probably make it to the next level of DJ stardom in 2015.